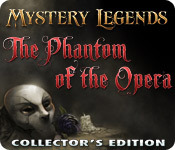 Mystery Legends: The Phantom of the Opera Collector's Edition is rated 4.4 out of 5 by 80. Rated 5 out of 5 by jeani2u from One reason I love "Big Fish Games" I have played this game many times because of the storyline. The movement from one area to another can be slow since there is no warping. 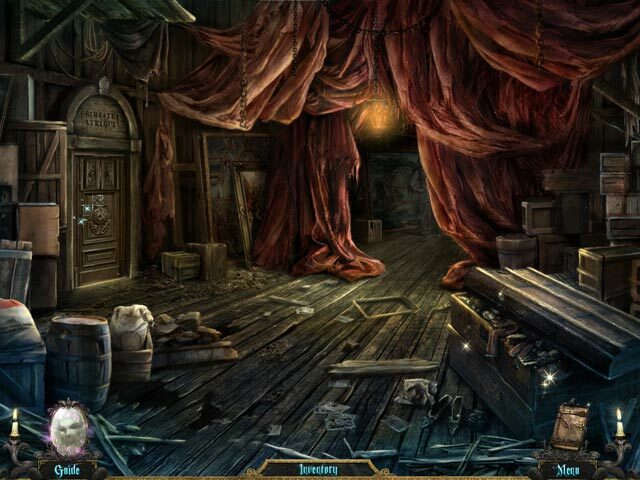 The graphics are great but, the hidden object layouts are used repeatedly and very dark. If you are looking for an early game that's fun, intriguing and holds your interest, this is a game you should try. For some it will be a, remember when, some will be bored to tears but most of you will love/like "Mystery Legends: The Phantom of the Opera. Revisiting the Phantom, is a big part of the fun. Rated 5 out of 5 by Lioness901 from I'm a big phan of this HOG I've read the book and seen two different movie versions of this storyline and so I bought this game and this HOG does not disappoint at all. From excellent graphics to a slight creepy factor with the Phantom this is a great game. The storyline is excellent just love it. Rated 5 out of 5 by Azalea_Pendragon from Excellent With an intriguing story, breathtaking art, and gorgeous sound effects, this game is a winner. I absolutely love this game, and enjoy playing it over again just to experience the stunning visuals. I need more Mystery Legends! 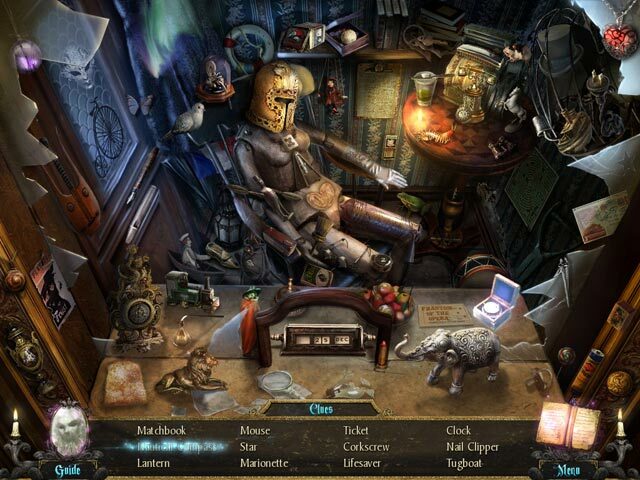 Rated 5 out of 5 by AngelOfMusic1996 from Return To The Opera I am a great lover of mysteries and classic tales and this game was definitely worth the purchase. The artwork was enchanting as the storyline is intriguing. I am so happy to have found this game. 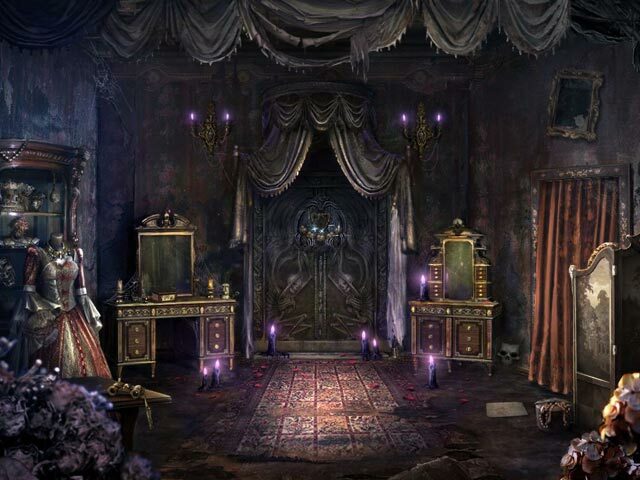 I truly hope they release a sequel for the game so that players may receive the chance to find out what happens to both our beloved phantom and Evelina. This game captures the labyrinthine architecture of the Paris opera house and I would recommend it to any mystery/phantom fan. Rated 5 out of 5 by RedTango from SEQUEL! I beg of thee!!! I have been a phan for many a year and only somehow just found this gemstone. I couldn't have been more thrilled wirh this. The graphics were stunning the opera house was elegant and decadent as you would expect it to be while in the BC the phantoms lair was suitably macabre. The music fit in just wonderfully, the right blend of haunting and breathtaking. Was sad they couldn't or didn't use music from the musical but figure thats due to copyright laws. Still great though glad they used a pipe organ. The puzzles are good, some were pretty easy to figure out others I spent several minutes just trying to do it without using a single hint. Some of the items in the HOS I had no clue what they were so hovering over them to get an idea of the shape was a great little extra feature. But what? The ending is a friggen cliffhanger, ugh I need to know what happened to Evelina and the Phantom?! Please i am on my knees begging you to bring us a sequel. We need it like desperately! Please, I don't care what I have to pay I'll glad fork it over to ya. Rated 5 out of 5 by Android1997 from Favorite Story! This is one of the most amazing games ever! The story and the game are Fantastic! I felt like I was really there in the Opera House! I even felt that the Opera Ghost was there beside me. Rated 5 out of 5 by tipperdip from I want a sequel! Please give us a sequel to this game. For cryin' out loud, people are writing fanfiction over this game. Please game company, give us a sequel to POTO phans! Its been 3 or 4 years now. Please! Rated 5 out of 5 by HyperGamer from Stupendo, Magnifique What a great game full of fun things to find and puzzles to solve, even going up and down in the lift was a laugh... Loved the Phantom's speech throughout the the game and the clues and hints were well placed, you really had to search every room and corridor with a fine tooth comb. Quite a bit of moving from room to room but it was well worth it as the scenes were so well drawn, I assume the musical score that was in the film couldn't be used due to copyright but the music and sounds were very good none the less. My only real disappointment seems to be the fact that there's no wallpapers for the desktop after all the scenes them selves are fantastic. Definitely a great game though..!